ProPipe Corrugated Ag Pipe and its use in groundwater management application has increased dramatically based on factors such as pipe’s strength, durability, joint integrity and long-term cost-effectiveness. 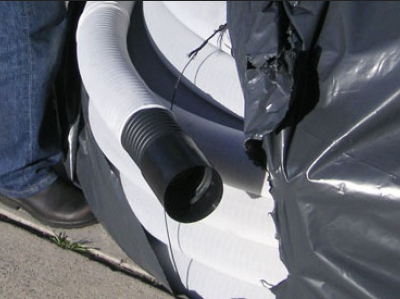 Corrugated Ag-pipe is the proven, reliable, cost-effective and safe solution for long-term drainage needs. ProPipe Ag Pipe is a flexible pipe system that performs well in both high cover and low cover applications. The ProPipe Ag Pipe is available in a range of strengths that enables this product to meet almost every product installation condition. The ProPipe Ag Pipe may be supplied with a filter sock to minimise long term infiltration of finer materials within the pipe system. The ProPipe Ag Pipe is extremely resistant to most chemicals and is corrosion resistant which is a long term advantage over concrete and metal pipes when placed in such environments. ProPipe Ag-Pipe is supplied in a variety of pipe diameters and long lengths that contributes to installation savings.